State of Colorado renews technological R&D cooperation agreement with Israel, as Israeli-US trade continues to soar. 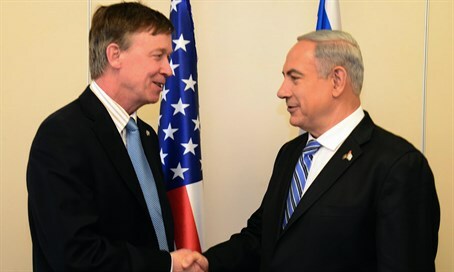 The US State of Colorado signed a lucrative trade agreement with Israel last week. Colorado had already signed an R&D agreement with Israel in 2010, but the two states decided to renew the agreement following Colorado's decision to significantly increase budgets earmarked for Coloradoan companies conducting R&D, including grants for local industry. In a statement the Israeli Economy Ministry, said the aim of the agreement is to establish a mechanism of cooperation with parallel funding for companies from both countries conducting joint research and development projects. Under the agreement, Israeli companies will team with Coloradoan companies to co-develop and commercialize innovative products. The companies will receive financial support from both states. In Israel, support will be granted by the Office of the Chief Scientist at the Israeli Ministry of Economy, while in Colorado participants will be supported through a new fund established by the State of Colorado to support the initiative. The official ceremony last week was attended by Colorado Governor John Hickenlooper and Economy Ministry Chief Scientist Avi Hasson. "We are proud to have Colorado among the list of 12 US states which cooperate with Israel on technology and R&D, including New York, Massachusetts, California Florida and others,” said Hasson. “Cooperation between Israeli companies and American companies has proven its value to both sides. "The US is a technological powerhouse and we are proud to be so attractive to US companies, entrepreneurs, investors and developers." The deal is just the latest of many similar agreements with US states, as trade and investment between America and Israel continues to grow. In 2014, trade deals between the two countries reached just over $38 billion - two billion dollars more than the previous year, when Israel ranked as the US's 25th-largest goods-trading partner. One of the most interesting examples of cooperation between Israel and a US state is the joint space and aeronautic program with the State of Florida. Large Israeli companies like Elbit, Israel Aerospace Industries as well as small and medium companies are helping unique innovative developments such as an advanced “stem-cell shield” and hydrogen-based power plants to become a reality. Only recently, two of the companies working within the framework of the Israel-Florida agreement, Israel's StemRAD and America’s Lockheed Martin, announced the joint development of a protective shield for astronauts that can guard them from ionizing radiation in space, which exists as a result of the lack of protection provided by the Earth's magnetosphere.